View of the private Blue Lagoon pool. View of front entrance from the street. Family room or 6th bedroom. View of the pool looking south towards the O'hana. Vire of the front entrance from the cul-de-sac. Kona is on what island? Kona is on the Island of Hawaii! Also known as the Big Island. Whether this is your first Kona vacation and your fifth there's always a big selection of activities to choose from. From the spectacular Kona Hawaii sunset, Kona Hawaii weather, and the Kailua Kona beaches the Kona vacation days always seem to short. Kona has many well know stores to choose from, Costco Kona Hawaii, Kona Target, Kona Walmart and Kona Kmart to name just a few and not to be left out are all the local gift shops with unique hand made items for that perfect gift. The Big Island is definitely the Island for the adventurer with great scenic hiking and biking trails, waterfalls, active volcanos and gorgeous green and black sand beaches. 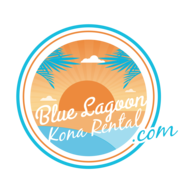 After spending time exploring and shopping you then return to the Blue Lagoon Kona Rental and enjoy your time in you personal saltwater pool and wind down and relax. With the many things to see and do your big island getaway will be the most memorable Hawaii vacation of all. Well maybe not all but it will rate right up there!